* Did Akhenaten’s followers bury his temple treasures in Amarna before they fled Egypt to escape the wrath of the Theban priesthood? * If so, is the treasure still there awaiting discovery? * What new light can it shed on the Exodus? * Was Moses to be found among the royal family of ancient Egypt? * What secret did Pharaoh Seti I take with him to his grave? * Can they risk another treasure hunt given Egypt’s political instability? * And, most importantly, what is Dan Fletcher doing back in Luxor? In setting out to answer these questions, Merry and friends must also decide how to involve the Ministry of State for Antiquities; while she and Adam wrestle with perhaps the biggest question of all – their future in Egypt. 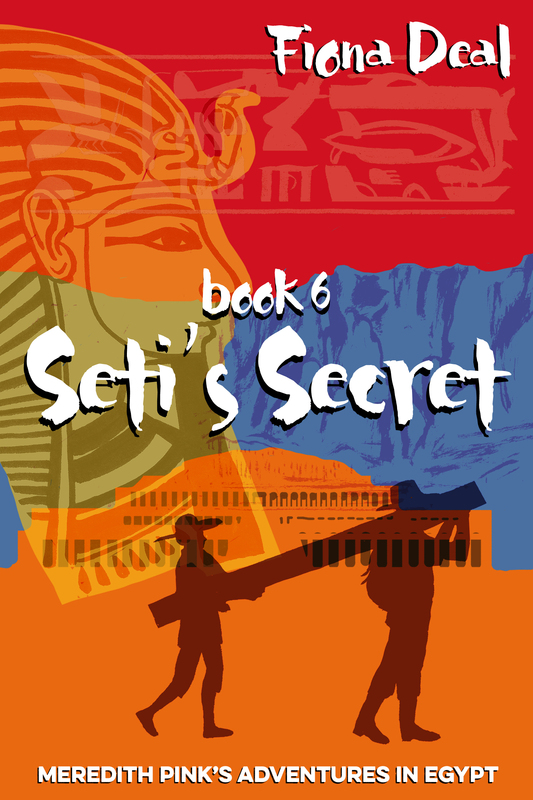 Join Meredith on her latest adventure along the Nile as she unlocks more secrets from Egypt’s ancient past. This book ties together the threads from Farouk’s Fancies and Akhenaten’s Alibi, namely the links between the Empire period of ancient Egypt and the Old Testament of the Bible. It also picks up the key themes from the first three books in the series. The identity of key Biblical characters such as Joseph and Moses has intrigued historians for years. The Exodus has been described as ‘The Greatest Story Ever Told’. And yet there’s huge debate about whether it actually occurred. I consider the Bible a book of faith rather than a strictly historical work. Yet I’m persuaded it has its roots in certain historical events. In popular culture, the Pharaoh of the Exodus is usually identified as Ramses II. My story posits an alternative candidate. In this book, as in all the others, I’ve taken what’s known from the historical and archaeological record, and made up a story to fill the gaps. I hope you enjoy it. As ever, your feedback is welcome. If you enjoy the book please review it on any of the Amazon sites. Your comments are equally welcome here. A wonderful, well thought out instalment of Merry’s adventures yet again. I thoroughly enjoyed this and do hope that you will be able to continue the series. I shall be looking forward to the 7th book and hopefully not miss the publishing date, thank you Fiona for your timely reminder!